Hello Good Morning Everyone! Welcome again to Bitnewsportal Blog, The home of the best projects and airdrop opportunity. Today we feature our first article recap for SUQA Cryptocurrency project. This article will feature all the important updates and highlights that happen in the previous weeks. SUQA Foundation is still a young and dynamic project, with active development team and responsive community members. 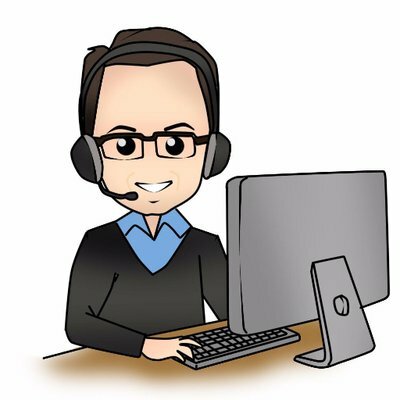 In the past few days some members of the community are concerned about the current price of each SUQA in the open market. But keep in mind the price today don’t reflect the current development activity of the team. The have been very active in providing updates and development news in the community, In fact they are releasing good news after goodnews despite the bear market condition. In the previous days of last week, SUQA Foundation announce the delisting notice of SUQA on Crypto-Bridge, but the delisting has been cancelled after the SUQA development team take proactive action and secure a deal with crypto-bridge to suspend the delisting status of the coin. Last January 22, 2019 SUQA Foundation announce that trading will continue as usual. 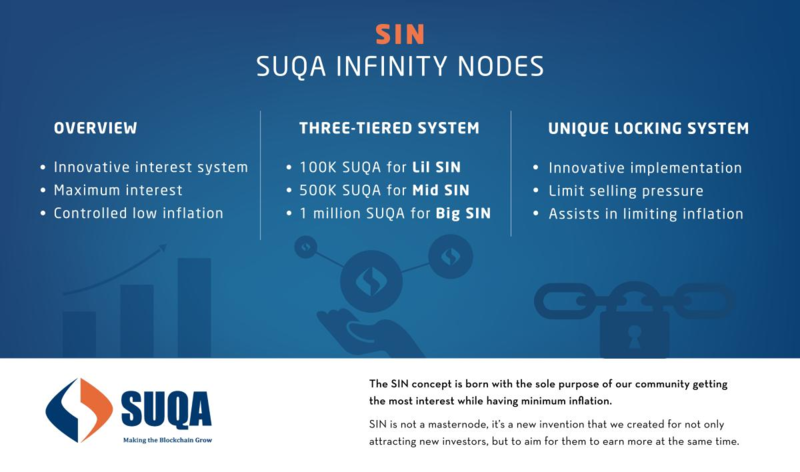 Last January 26, 2019 SUQA Dev team provided an overview of information about SUQA Infinity Node or SIN. They also mention that an “Ask me anything” event or AMA will be held soon to address all project related question and concern by the SUQA community members. For now stay tuned for more details and announcement about the said event.